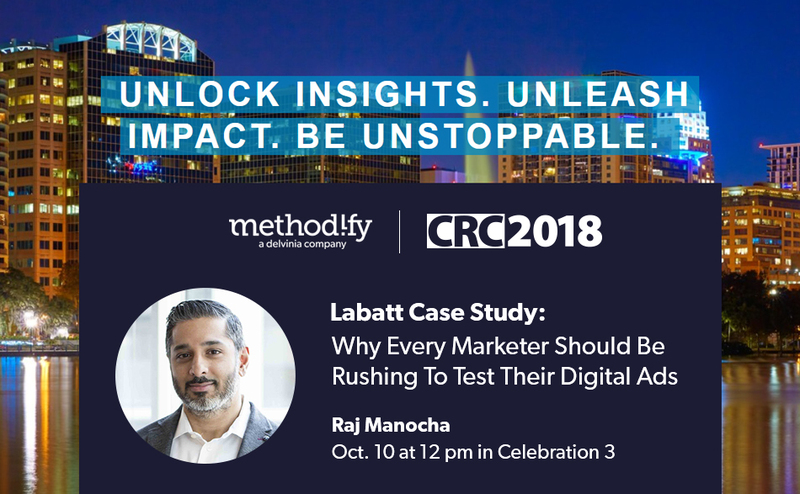 In this session, Raj will share how Labatt’s understanding of the significance in employing a ‘channel first design strategy’ in marketing has helped them stay ahead of the curve. He’ll also talk about how Labatt’s digital content being tested on Methodify has proven to be some of the strongest performing assets across Anheuser-Busch InBev globally. Look for the Methodify team in our adorable Mickey Mouse hats, we’ll be hard to miss! For more information, visit the Corporate Researchers Conference website.